During installation, you may see a dialog such as "There was an error during installation" and a dialog box that looks like the following, with a title of "Microsoft Office Customization Installer". 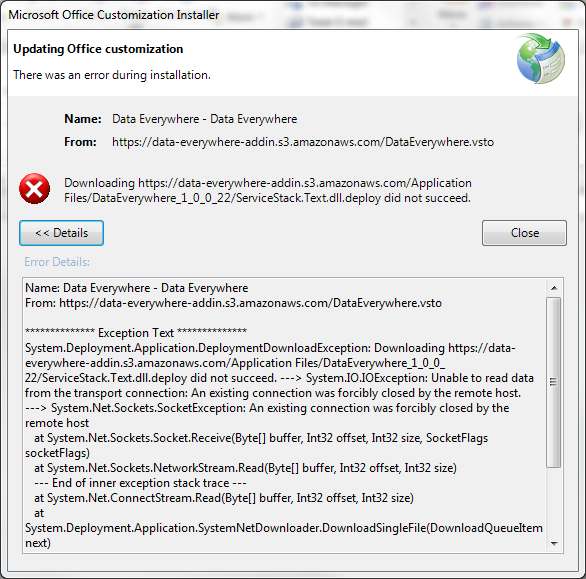 This dialog indicates a failure while downloading components necessary for Data Everywhere to run. To resolve this, ensure you are on a stable Internet connection and run the installer again.